IBM has reported a smaller-than-expected 3.5 per cent drop in fourth-quarter revenue, as higher sales in its newer businesses such as cloud, software and services partially offset tapering sales of its latest mainframe computers and the pressures from a strong dollar. However, Big Blue, which is wrapping up its US$34 billion cloud deal for Linux software maker Red Hat, guided 2019 free cash flow below analysts' expectation, adding to investor concerns following the deal, the company's biggest. IBM said revenue slipped to US$21.76 billion in the three months ended 31 December, but came in above analysts' average estimate of US$21.71 billion, according to data from Refinitiv. The vendor reported net income of US$1.95 billion, or US$2.15 per share, compared with a loss of US$1.05 billion, or US$1.14 per share, a year earlier. IBM recorded a charge of US$1.9 billion related to the U.S. tax overhaul in the latest reported quarter. The company took a US$5.5 billion charge related to the tax reform in the year-ago quarter. Excluding special items, the company earned US$4.87 per share. Analysts had expected US$4.82. It was not immediately clear if the numbers were comparable. IBM also forecast operating earnings for 2019 to be "at least" US$13.90 per share, while analysts on average were expecting US$13.79. The company said it expects free cash flow of about US$12 billion for the year, roughly in line with 2018. Analysts on average are expecting US$12.67 billion for 2019. 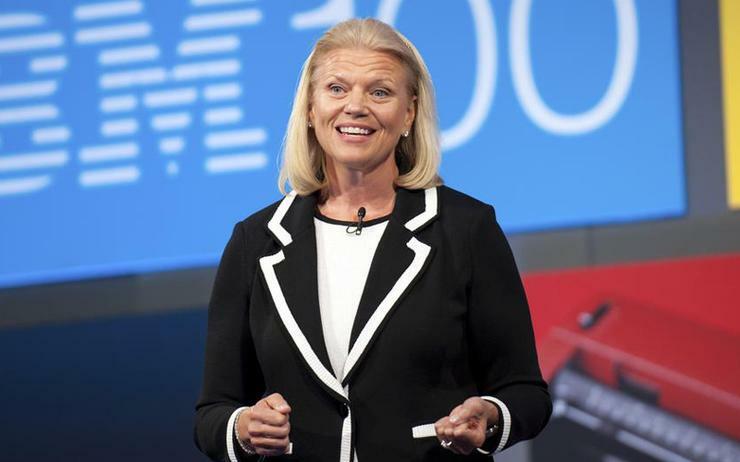 Under CEO Ginni Rometty, IBM has been refocusing toward faster-growing cloud and analytics services to lower its dependence on its traditional hardware products and reverse years of revenue declines. The company is also shedding some of its legacy business as part of the shift. The company said in December it would sell some of its software products business to India's HCL Technologies for US$1.80 billion. IBM said its cloud business, part of what it refers to as "strategic imperatives", grew 12 per cent to US$19.2 billion in 2018. The company's cognitive software business, which houses artificial intelligence platform Watson, analytics and cyber security services and is its second biggest, reported sales of US$5.46 billion, compared with analysts' expectation of US$5.25 billion. IBM's revenue of US$4.32 billion from its global businesses services segment also beat estimates of US$4.15 billion. The Armonk, New York-based technology services giant, which makes over 60 per cent of its revenue from outside the United States, had warned in the third quarter that a strong dollar would hit its revenue.